The mission of the American Academy of Cosmetic Dentistry is to advance excellence in the art and science of comprehensive cosmetic dentistry and encourage the highest standards of ethical conduct and responsible patient care. Advancements in technology are a critical component to fulfilling this mission, as one AACD Member dentist explains. 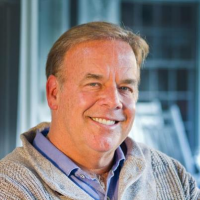 “Cutting-edge technology makes dental treatment more comfortable and effective, and enhances overall health,” says AACD General Member Mark T. Weiser, DDS, a leader in cosmetic, preventive, and general dentistry in Santa Barbara for more than three decades. By using the latest techniques, Dr. Weiser is able to reduce sensitivity and pain, speed healing from dental surgery, canker sores, and other oral conditions, and make a mouth feel as fabulous as it looks. And, there’s a big health bonus. In accordance with the AACD’s mission, esthetic dentistry must complement the overall general and oral health of the patient. “The mouth is the gateway to the body,” says Dr. Weiser, “and if it isn’t healthy, it opens the door to other ills.” Research shows that oral infections are the most common diseases and increase the risk of heart disease, stroke, and a shorter life. Cavities and inflamed gums, which can eventually lead to tooth loss, are the most common types of infections. The latest technological advancements mean cavities can be detected in very early stages, and air abrasion techniques have replaced dreaded drills. Where numbing is required, it can be carefully controlled so that feeling, but not pain, returns quickly. Routine cleanings are painless. Where gum contouring or surgery are necessary, lasers make it pain and suture free and eradicate bacteria. Treatments for bite misalignment and jaw-related sleep disorders are drug-free. And, spa-style services, music, and movies put patients at ease. Treatment with a supercharged form of oxygen, called ozone, is another cutting-edge technique, one in which Dr. Weiser has extensive expertise. In addition to using it for ten years in his practice, Dr. Weiser has lectured internationally on the subject to health professionals, is the co-author of a new scientific text, Advances of Ozone Therapy in Medicine & Dentistry, and recently chaired a scientific conference, Frontiers in Ozone Therapy. The ozone form of oxygen kills harmful bacteria and other destructive organisms. In the hands of a trained dentist, ozone reduces the need for antibiotics, is not toxic, has no side effects, and significantly improves comfort and results. “There’s less sensitivity and pain after surgery or any other treatment, be it a filling, crown, or gum work, and healing time is quicker across the board,” says Dr. Weiser. AACD member dentists are not only encouraged to use innovation in technology and materials to deliver dentistry that is predictable and long lasting, but to champion and provide minimally invasive treatment protocols, when and where appropriate, ensuring the protocols are consistent with the long-term health and needs of the patient. In addition to being in private practice, Dr. Weiser is an international lecturer; co-author of a new scientific textbook, Advances of Ozone Therapy in Medicine & Dentistry; CEO of Ozone Therapies Group, and a fellow in the American Association of Ozonotherapy and the Academy of Laser Dentistry. In addition, he is a long-time member of the American Dental Association, California Dental Association, and the American Academy of Cosmetic Dentistry. For more information, photos, and to arrange an interview with Dr. Weiser, please contact David Jay at david@christieand.co or call 805-969-3744. To learn more about Dr. Weiser’s practice, visit www.santabarbaradds.com. Oral infections and cardiovascular disease. El Kholy K, Genco RJ, Van Dyke TE. Trends in Endocrinology & Metabolism. 2015 June;26(6): 315-21. 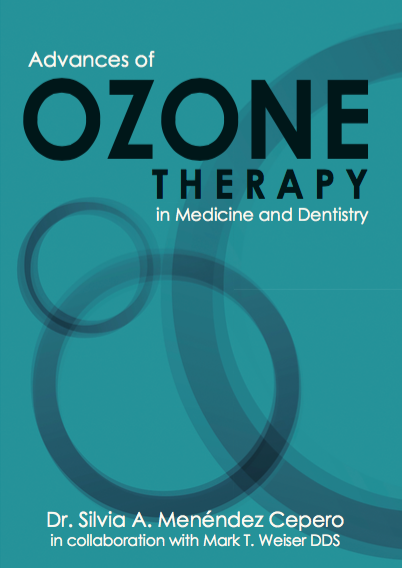 Does Topical Ozone Therapy Improve Patient Comfort After Surgical Removal of Impacted Mandibular Third Molar? A Randomized Controlled Trial. Sivalingam VP, Panneerselvam E, Raja KV, Gopi G. Journal of Oral and Maxillofacial Surgery. 2016 Sep 16. pii: S0278-2391(16)30821-7. Effects of combining ozone and hydrogen peroxide on tooth bleaching: A clinical study. Al-Omiri MK, Hassan RS, AlZarea BK, Lynch E. Journal of Dentistry. 2016 Oct;53:88-93. Evaluation of effect of topical ozone therapy on salivary Candidal carriage in oral candidiasis. Khatri I, Moger G, Kumar NA. Indian Journal of Dental Research. 2015 Mar-Apr;26(2):158-62. "Ozone" - the new NEMESIS of canker sore. Dharmavaram AT, Reddy RS, Nallakunta R. Journal of Clinical and Diagnostic Research. 2015 Mar;9(3):ZC01-4. Efficiency of gaseous ozone in reducing the development of dry socket following surgical third molar extraction. Ahmedi J, Ahmedi E, Sejfija O, Agani Z, Hamiti V. European Journal of Dentistry. 2016 Jul-Sep;10(3):381-5.